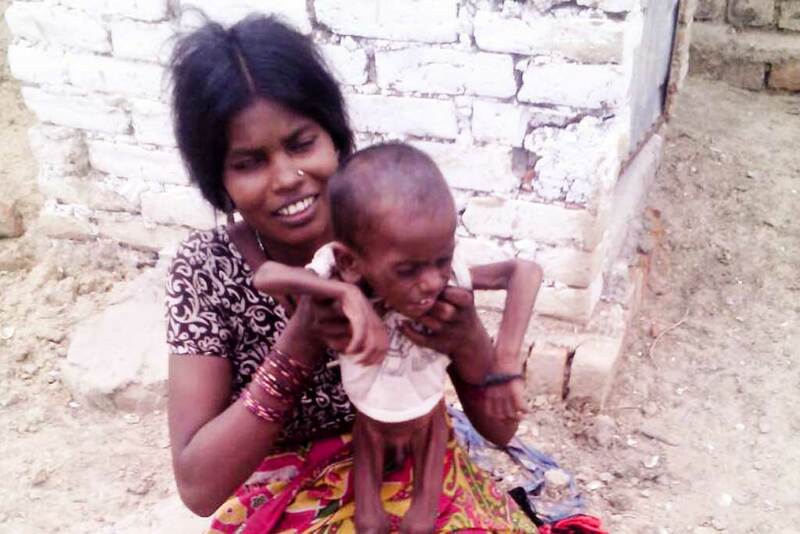 Musahar mother in Ratanpur holds her malnourished child. Amrita SeRVe’s Health Worker, Urmila Devi, found a severely malnourished child in the Musahar community in Ratanpur, Bihar. His weight was supposed to be around 10 kg, but was 3.8 kg, as checked in the nearest Primary Health Centre (PHC). Upon assessing the family conditions, it was found that the one-and-a-half-year-old child was not properly fed due to poverty and the mother was also very weak. In addition, she is six months pregnant at this time, which will be her fourth child. The father is a labourer, but is not getting regular work and also confessed to having an alcohol addiction. 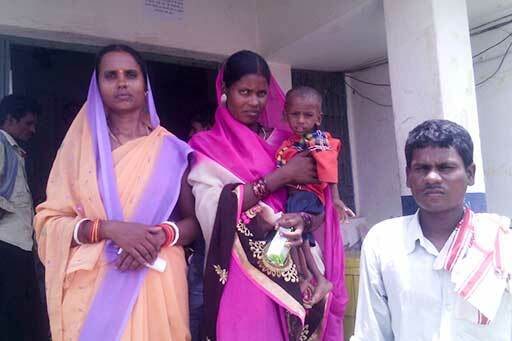 Mother, father and child at the PHC with Amrita SeRVe’s Health Worker. Yesterday, Amrita SeRVe staff took the family to the local PHC. The doctor did a checkup and made a referral to send the child to the district hospital. This will happen on Monday and the child will be admitted to the malnutrition department. Meanwhile, a private donor has given money to start daily delivery of milk for the baby along with supplies of dal and supplements. Urmila Devi counselled the parents on how to practise family planning and both have promised that from now onwards they will adopt these methods so that they do not have another child. The family will also be taught how to grow a kitchen garden by Amrita SeRVe. Together they will begin planting at the family’s home so they can have better access to healthy food. India remains one of the world’s countries with a serious level of undernourished people. The prevalence of wasting among children under five is 15.1% and their mortality rate is 4.8% according to numbers from UNICEF.